I've mostly been gaming during my lunch hour or once my kids are in bed at night. 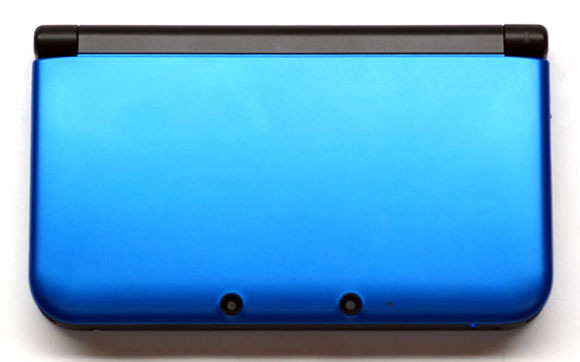 When I finally get a few free minutes to play a game I almost always turn to my 3DS. It travels everywhere with me just in case I get an opportunity to bust it out for 5 minutes and play. It's really an awesome system. The 3D effect is cool, but not required. It has a great lineup of games that's constantly growing. It has support for digital purchases. It's finally a Nintendo console with decent online play. It's easy to carry around. But most importantly, it's fun! I've had a blast with Mario Kart 7, Fire Emblem: Awakening, Paper Mario Sticker Star, Donkey Kong Country Returns, New Super Mario Bros 2, and Super Mario 3D Land, Animal Crossing: New Leaf. Not to mention all the fantastic eShop and Virtual Console games I've been playing. Nintendo has a lot to offer. They're even catering to our nostalgic impulses. I had a few weeks where all I played were the two Legend of Zelda Oracle games that intertwine. They're amazing entries in the Zelda franchise and I had never finished them before. I picked them up together for about $10 for Virtual Console and loved every minute of them. The more they expand the lineup of new releases and nostalgic games the more I love the system. With Pokemon X/Y, Legend of Zelda: A Link Between Worlds, Mario Party: Island Tour, and Smash Brothers 3DS all around the corner I'm excited to see how well the system does this holiday season.